After a busy time away in Manchester and having a bit of an attack on the train back up to Edinburgh I was ready to just drop in a heap and I did for a couple of day. 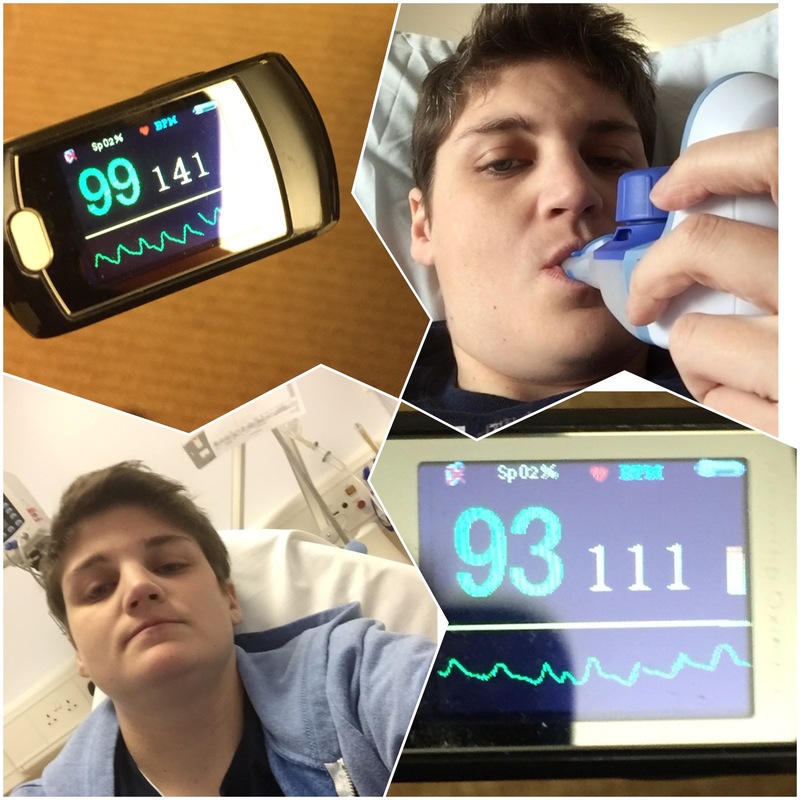 Thursday and Friday I really didnt do much other than using my nebuliser a bit to try and get over this chest thing I seem to have caught. Friday night into Saturday I really didnt feel great but thought it was just the weather because it was awful and it just kept changing. Atmospherics can really effect my chest so I thought maybe it was that. I went to bed early and was tossing and turning. I ended up getting up at 1 am and went to Tesco to get something to soothe me. I got some ice fruit stuff which kind of helped but I felt like the air was stuffy. I eventually settled after a few nebs about 6am but woke at 9am with my heart thumbing. It was going nuts. It was up at 140 and I honestly thought it was about to come out my chest. I called NHS24 which I always think is a bit of a gamble as I worry they will hear my history and will just send an ambulance. I had a really good nurse who I explained what was happening and was wanting to see if I could see a GP in out go hours to get some atrovent for my chest. I hoped this would mean I could stop the salbutamol an then my heart rate would just settle down. I saw a GP but she was worried as my heart was up at 180 and my breathing was not good- probably due to my tachyness. I have never seen a GP so worried. All set for a blue light 300 yards up the road. Thats happened. I felt like an idiot but then the paramedic was concerned and managed to get 2 cannulas in me. I was starting to worry myself at this point as I really didnt think I was that unwell and all I wanted was some atrovent. But my ECG was showing prolonged QT waves again so it had to be checked and we did need to get my heart rate down. By evening time it was down and I was home and could relax. Of course I couldn’t and was paranoid that if I moved then my chest would get bad and then I would need a neb and then I would make my heart rate go back up. It was down to a low 120 by the night. Yesterday was the first time I have felt kind of scared as I had no control of what was happening and had no idea how to stop it. I know with my asthma I am in control (to an extent), I can ask for the nebs when I need them. I know what I can do and can’t do, I know how to sit to make it easier to breathe, but this was something different- there was no way to control it. It was out of my hands and the Drs hands to some extent as it was a bit of a waiting game to let the meds and fluid work to bring it down. It did scare me. I get scared with my asthma my it is a different scared. I am scared because I can’t breathe but I know I am in safe hands and will be ok- but this was different. Sitting today reflecting back I am just fed up. I keep wondering what next is going to go wrong and will my body give me a break. I have been fairly well recently. I have not been in hospital nearly as much but at the same time I have not been doing as much. I thought my not pushing my body so much I would not make more things go wrong but maybe Im not right. Maybe it is just more challenges to try and over come. I am so greatful to all my friends who stick by me and give me wee messages of encouragement. Back to work tomorrow after a week off but I feel I could do with more time off as just a bit tired after the last few days. What a way to end annual leave! !